Urumqi, the capital city and government seat of the Xinjiang Uygur Autonomous Region in Northwest China, is on the northern slope of the Tianshan Mountains and on the Urumqi River. Urumqi, meaning "beautiful pastureland" in the Mongolian language, is Xinjiang's political, economic, cultural, and communication center as well as one of the cities farthest from seas in the world. The city has a total area of about 12,000 square kilometers. It neighbors Turpan in the southeast, connects with Glacier Daban, and links with the Changji Plain in the west, Fukang and Jimsar in the northeast, and the Junggar Basin in the north. Under its administration are seven districts and one county. The Yongfeng Township under Urumqi County is Asia's geographic center. Urumqi is a city with a multinational compact community, and has a population of about 2 million, comprising 43 ethnic groups such as the Uygur, Han, Hui, Manchu, Mongolian, and so on. The people of different ethnic groups live together harmoniously, developing and constructing this beautiful city in joint efforts. The city is drawing increasing number of Chinese and foreign tourists with its unique national folkways and culture. Urumqi, with a mesothermal (mid-thermal) continental semi-arid climate, has an average annual temperature of 5.7℃. It has a shorter spring and autumn and a longer summer and winter. Summer and autumn -- especially from August to October when fruits and vegetables are in abundant supply, with an agreeable climate and charming scenery -- are called the "golden season" in Urumqi. 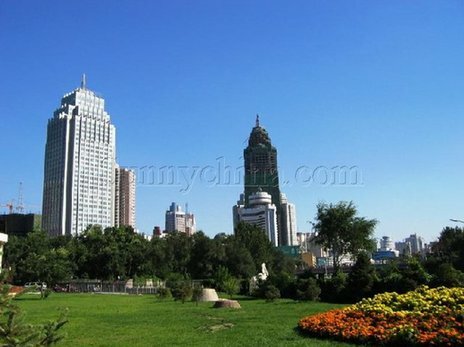 Urumqi, which is rich in resources, is called "a city over a coalfield." The coal deposit comes to nearly 100 hundred million tons. Forest and wild plant resources are in great variety. In addition the Tianshan Mountain glacier and permanent snow in its territory amount to 164 square kilometers, while abundant ground and underground water provide its economic development with favorable conditions. Urumqi, as a new comprehensive industrial city, has formed a complete industrial system comprising coal, machinery, oil, chemical, textile, metallurgy, building material, electric power, foodstuff, leather, and daily necessities for ethnic minorities. Suburban agriculture has also witnessed a big development, forming three big non-staple food bases of vegetable, melons and fruit, and milk and egg as well producing fowl, meat and fishery products. 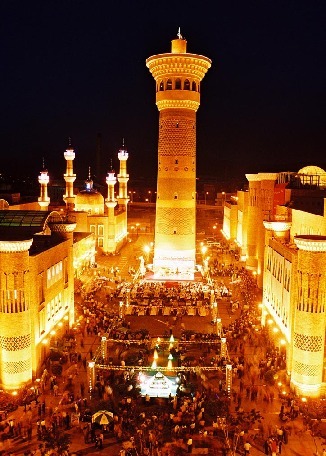 Urumqi is a communication hub in Xinjiang and a major passage to link up Asia, Europe, and the Middle East. The traffic and transportation are quite convenient, with easy access to all the regions, prefectures, and counties. The connection of the Euro-Asian Continental Bridge can make one start from Beijing, Shanghai, Zhenzhou, Xi'an, Lanzhou, and Chengdu in the east and reach Rotterdam in Holland through the Alataw Pass. In addition, international railway service from Urumqi to Alma Ata (Kazakhstan) has been opened. Civil aviation flights can run to 12 cities and counties in Xinjiang, to other main cities in China and to Alma Ata, Tashkent and Sharjah abroad, with over 60 domestic and international air routes. Mountains surround Urumqi on three sides. For over 2,000 years, many different minorities of sheep and cattle herders have pastured the area around Urumqi. It was an important city along the ancient Silk Road , and is now an important city along China's northwestern border. The moderate temperatures in the spring and autumn results in pleasant seasons for traveling, and skiing is the best choice in wintertime. Urumqi abounds in rich tourist resources, including mysterious historical and cultural remains, beautiful landscapes, and unique folkways. Among the many famous spots are: the Heavenly Lake , Red Hill, Nan Mountain Scenic Area, No. 1 Glacier in the Tianshan Mountians, Hongshan Park, People's Park, Water Mill Valley (Shuimogou), Swallow's Nest (Yan'er Wo), and the Bazaar Tour.